At minimum, watch the first 5 minutes to see how 4 foods items, that many people consume each day, are causing them to consume a 4 pound bag of sugar every 2 to 3 weeks. As I pointed out in the video sugar is wrecking havoc on your body. 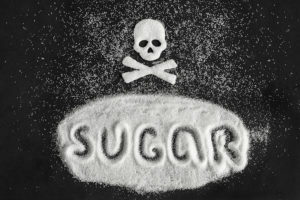 I did a simple Google search for the term “damaging effects of sugar” and came across several excellent articles. I’d like to share them with you so that you can see this from other experts in the field of health and wellness. I personally don’t think so and it’s one of the reasons why I carefully watch my daily sugar intake. My skin thanks me. My cardiovascular system thanks me. My kidneys thank me. My joints thank me. My brain thanks me. My whole body thanks me.